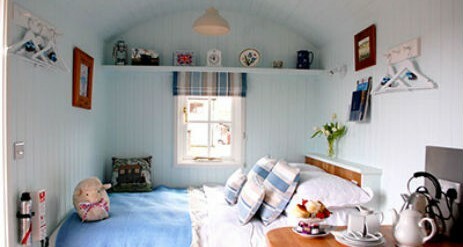 To Rest a While is a beautifully converted shepherds hut situated on a working farm near Wells in Somerset. 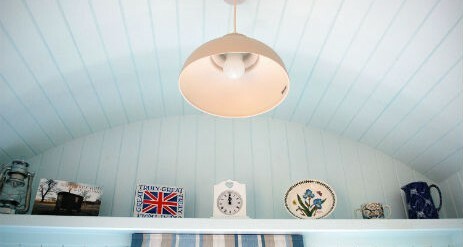 To Rest a While is gleaming in a beautifully converted shepherds hut in Somerset near Wells. 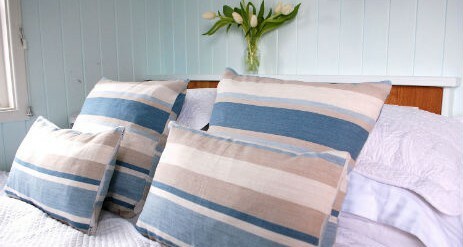 Situated on a working farm we offer a self catering holiday sleeping 2 adults. 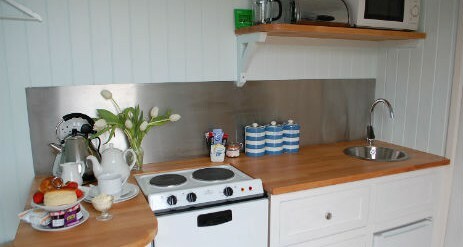 The hut has a separate toilet and shower room and a fully equipped kitchen. 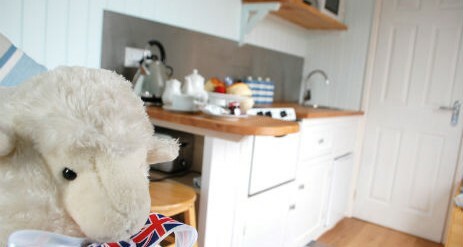 Set into the Somerset countryside the hut has spectacular views and great access to local attractions. All of our guests are welcomed with a west country cream tea. We are located in the picturesque county of Somerset between the medieval city of Wells and the mystical town of Glastonbury. There is plenty to do to suit all tastes. Shopping at Clarks outlet village, exploring the caves and mill at Wookey Hole or visiting Cheddar, a world famous area of outstanding natural beauty. 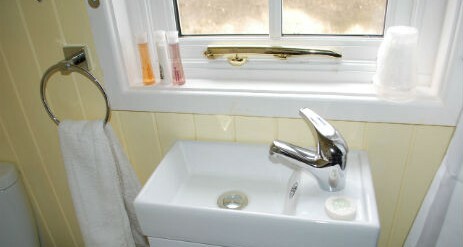 You will be based a short drive from the cities of Bristol and Bath along with the sea side town of Weston-Super-Mare. Or you can simply relax at To Rest a While and enjoy the views, walk around the secluded lanes and take in the scenery of the Somerset Levels.